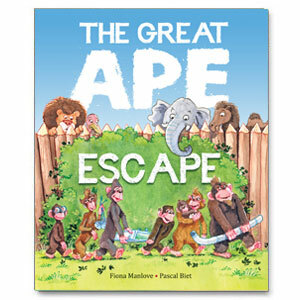 This week we’ve been reading The Great Ape Escape by Fiona Manlove and Pascal Biet. This is a fun, amusing story about a group of monkeys, chimps and other primates who hatch an ingenious plan to escape the zoo. I don’t know if this was the inspiration but the story really made me think of the safari at Longleat zoo in Wiltshire, famous for mischievous monkeys who risk damage to your car. The apes in The Great Ape Escape clearly follow this idea and use all the car parts they can get their hands on in their plans. 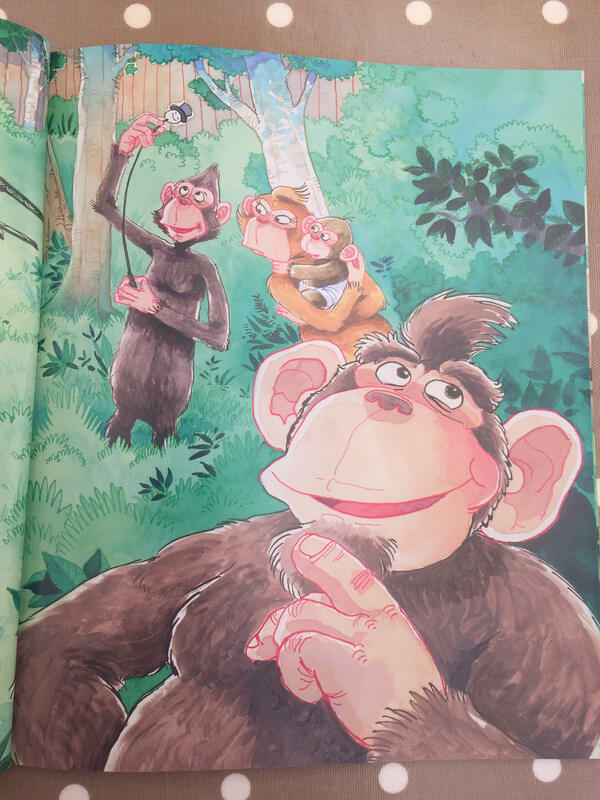 The illustrations are really detailed and amusing, and I really enjoy how each of the different monkeys is given a different identity and easily recognisable expressions. The plot is an excellent example to children of what can be achieved with perseverance and teamwork! Our favourite part was seeing what the friends got up to on their travels after they escaped. My only criticism is that if you don’t study the illustrations it can be quite tricky to follow the story. Most of the prose is dialogue and you have to engage with the pictures to understand what the many different characters are talking about. Although this does provide a good opportunity for asking your child questions and working on their observational skills. Despite this down side, if you have an animal-loving child who gets a kick out of a little naughtiness then they’ll really enjoy this. You can pick up your copy of The Great Ape Escape from Ragged Bears Publishing here.